Apologies if others have already been finding swallows, but my first 3 of the year were at Llyn Coed -y -Dinas this afternoon. Meanwhile at home, I ringed a further 2 Bramblings, making 90 since 1st January, and 125 for the winter. Remarkable when I have never seen more than 6 at one time. 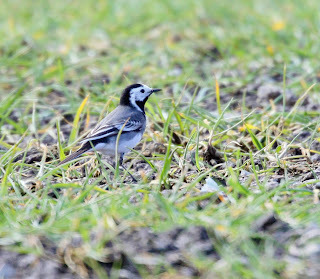 This Wagtail was on the Long Mountain. Alba? Thoughts appreciated. Thanks, Brian. 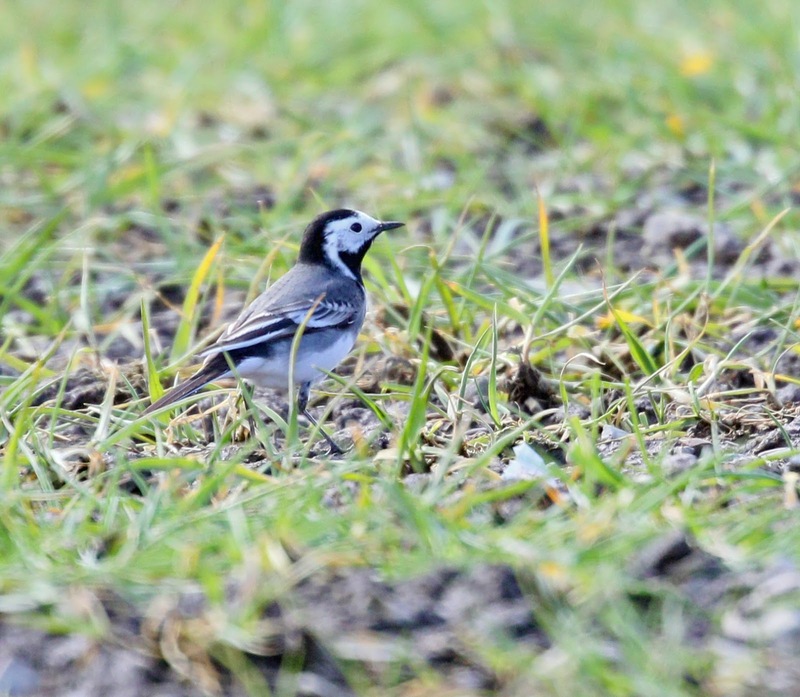 Presumably a passage bird, but I'm not sure how often they get recorded locally. I'd be cautious about reaching a positive id from the photo. What can be seen of the rump appears to be very dark and the relatively dark flank would be a concern for alba.